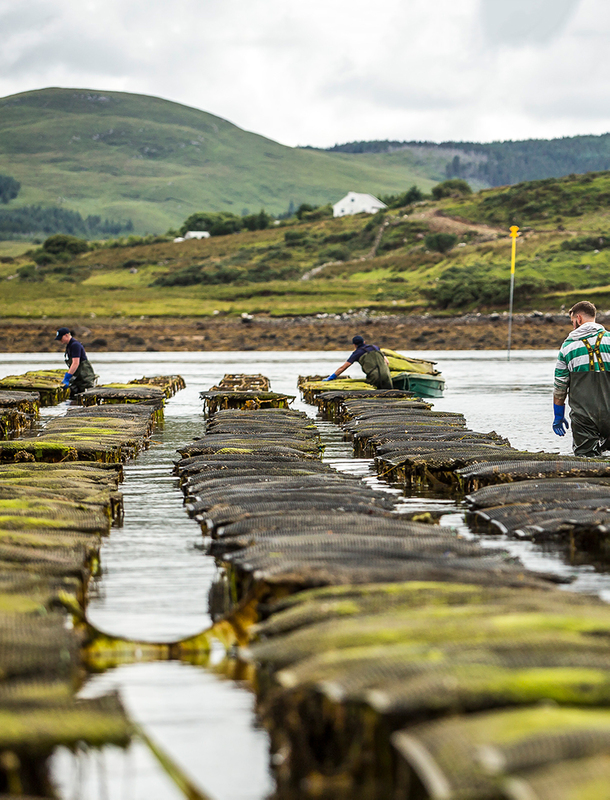 All of our oysters originate in EU approved hatcheries. 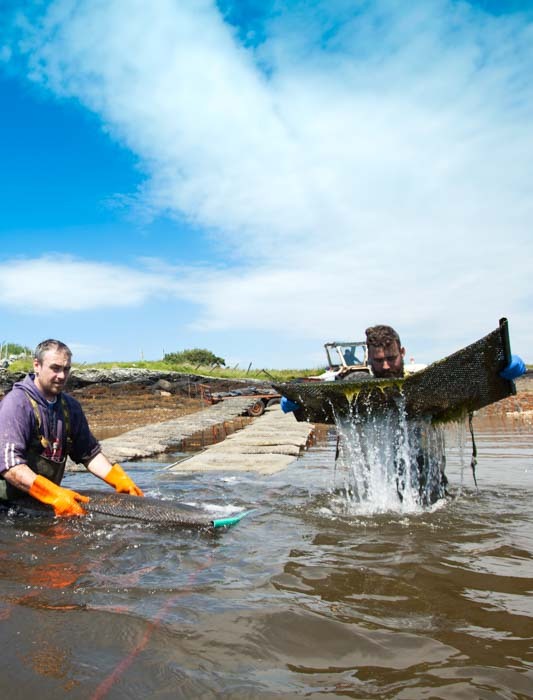 There, they are fully tested to ensure every oyster is in perfect health to thrive in the pristine waters of Ballinakill Bay. Our oysters enjoy a unique habitat in the sheltered bay, influenced and refreshed by the North Atlantic drift and other subsurface currents. These currents originate with the Gulf stream in the warm climate of Florida forming the western and northern sections of the subtropical North Atlantic Gyre. It takes 1000 years for these currents to replenish and complete their cycle and they greatly affect the salinity and temperature of our waters in Ballinakill Bay. Ballinakill Bay is surrounded by the Connemara hills beside The Connemara National Park. 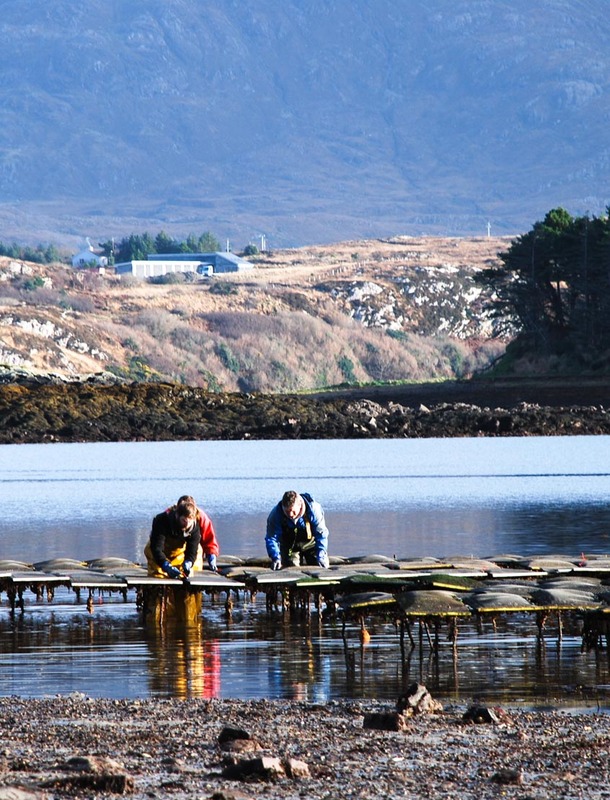 These hills are home to the famous Connemara lamb, their flavour infused by the same flora and nutrients which influence our sandbanks and thus our oysters, giving them their quintessential taste. Originally the whole of the Dawros peninsula belonged to J McSheehy Esq to whom licence number 171 was granted on 9 November 1893. On 13 April 1894 this was confirmed on appeal by the Lord Lieutenant and Privy Council of Ireland. In 1897 the whole estate including the oyster licence and associated fisheries were sold to JJ Darcy. During the period 1900 to 1912 there were several interested parties and eventually they were acquired by the West of Ireland Fisheries who maintained and worked them until 1937 when they were taken over by East Atlantic Fisheries. In 1941 to 1962 they were the property of a gentleman named Shields who sold them to a French national J Mauger whose family continued to maintain an interest in the fisheries until 2014. In 2014 David Keane FCPA formed a wholly owned Irish company to acquire and run the business. 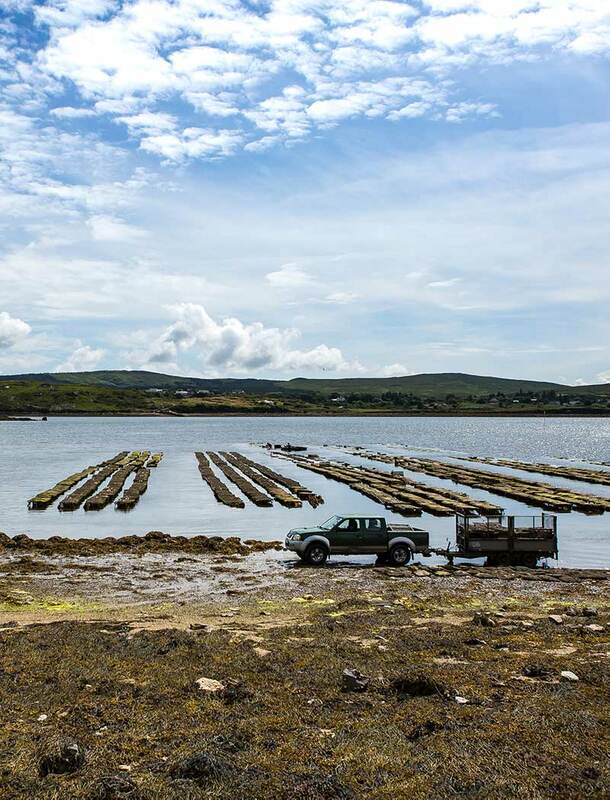 The last few years have been spent restoring the farm and with the help of our hard working staff we have successfully reignited the magical taste of Connemara Oysters from Ballinkill Bay.